We are excited to welcome Rachel Armstrong, attorney and founder of Farm Commons, to the Farmers Forum this week (March 24th-28th) to answer your farm legal questions! Running a strong farm business is easier with the help of a knowledgeable attorney who truly understands the business of farming and can help farmers meet their financial and social goals. Rachel is generously offering legal advice on the “Legal” section of the Farmers Forum this week, so head over now to post your questions now (it just takes a moment to register before you can post)! Rachel started Farm Commons because she thinks farmers deserve specialized legal information that addresses the direct market farm’s unique goals. The organization provides business legal services to farmers, creates useful legal education resources, and educates attorneys on issues relating to community-based farmers around the country. 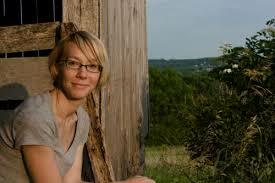 Rachel has experience helping farmers establish an LLC or corporation to help meet their farm goals. In particular, she is skilled at negotiating ways for unrelated partners and individuals to create a long-term partnership or farm transition. Leases are an important part of Rachel’s legal services, and her farming experience helps her craft a lease that resolves problems before they start. Rachel has also studied conservation easements extensively.